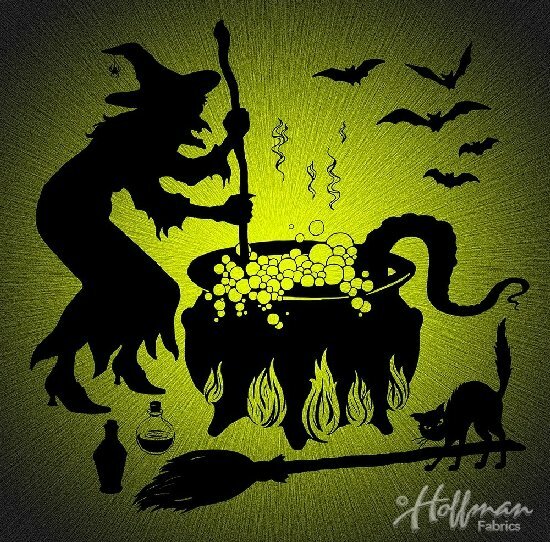 Digitally-printed panel with Halloween Witch and Cauldron, black cat, broomstick and bats. A large panel, measuring approximately 44" x 44". 100% cotton.